There are a lot of Warhammer 40K armies/factions. Choosing the right one is quite obviously the most critical choice you’re going to make. You’ll be spending money on the army, time building and painting it, and of course time playing with it. Choosing the wrong army for yourself could not only cost you time and money, but also your enjoyment of the game. I will give you some tips to consider when picking an army. There’s a lot more to think about beyond how powerful a codex is. The game constantly changes, so you want something that you’ll enjoy no matter what the game throws at you. There are ~28 Warhammer 40K armies to choose from. To someone looking at 40K for the first time, that can be an overwhelming amount of choices. When I got into the game in 2006 there were around 14 Warhammer 40K armies. Still a lot, but a far more manageable amount to look through. I know if I were getting into it now and saw all the choices then I wouldn’t know where to begin. Hopefully I can guide you a bit. I’ve always been a sucker for the big dumb brutes of a game. My biggest piece of advice to anyone looking to get into the game of 40K is to find an army you like the look of. Seriously. Unlike other smaller gaming systems out there, WH40K requires you to buy the models, assemble them, and paint them. The game has a hobby element, and if you don’t care for the aesthetics of the army then you won’t be very motivated to put them together and get it painted. 40K is not a skirmish game, so you will be putting together a lot of models and doing a lot of painting. Definitely start by looking at armies you think are visually appealing. Once you have found some Warhammer 40K armies you like the looks of, start refining the process by looking at those that seem to fit your play style. If you’ve never played a game then that might not be so cut and dry, but I find most of us have a general preference. I always like close combat in any game I play, and will always lean towards more brutish and aggressive types. 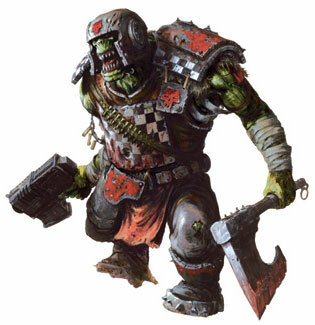 When I was getting into 40K, my play style preference meant starting with Orks. They’re primitive brutes who love to charge headlong at the enemy with choppas (axes), held high. By looking at them, that’s a pretty easy visual cue. Orks are big and bulky, and most are carrying a close combat weapon of some sort. Most Ork vehicles look fast and fragile, a means to reach the enemy. Tau sure love to shoot things. That’s the thing with 40K, even without knowing a lot about the game mechanics, you can still get a good gauge on an army by looking at it; like I was saying with Orks. 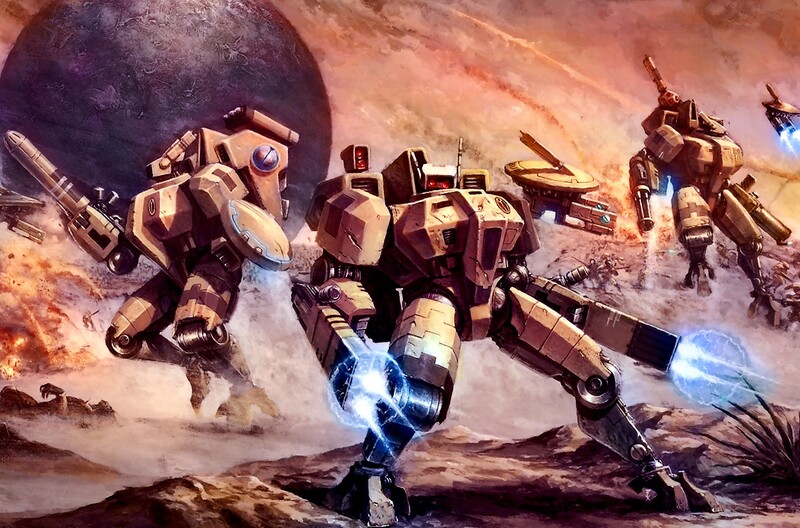 If you were to look at Tau then you would notice that almost every model is carrying a ranged weapon, so they like to shoot. Glancing at Astra Militarum would quickly tell you that they use a lot of tanks and infantry. Some 40K armies, like Space Marines, have a good mix of everything as they are the generalists of the game. The models give a pretty clear indication of what an army does on the field. Also, once you do decide on an army, check out our article on ways to save money with 40K. It will really help you get an army started at a discount. Here’s a quick and dirty breakdown of the various Warhammer 40K armies. It’s not conclusive and is just an overview. There are a lot of mechanics at play with all the armies, and describing each in detail would take a very long time. Note: All Adeptus Astartes (Space Marines), have many similarities featuring power armor (3+ save), and many of the same units and weapons. Space Marines are generalists by nature, good at everything but seldom great at anything. As a general rule they have a good mix of infantry and armored support vehicles (tanks, transports, etc). Below I will focus on their unique flavor. They have a focus on speed with some fast tanks and Assault Marines. Very capable of being an alpha strike army. Death Company is a unique type of unit to Blood Angels that’s extremely good at close combat. Actually, they have quite a few unique units to them now I think about it, like the Sanguinary Guard, Sanguinary Priests, and a Librarian Dreadnought. Overall, Blood Angels are a Space Marines army through and through with some specializations unique to them. Deathwing (all Terminators), and Ravenwing (Bikers), set them a part from other Marines. These units have distinct rules and abilities to Dark Angels. Fluff-wise, Dark Angels are the mysterious chapter of Marines if you like that dark secretive element. Also, the Dark Angels fluff is that they came about from houses of knights. So, they maintain that type of noble structure within their chapter. Other than what’s noted above, they are pretty much your typical Marine chapter. Oh, plasma. Dark Angels love plasma and get a lot of it. The elite brotherhood of Space Marines joined to a common cause from various chapters. Death Watch are a low model count army that packs quite a punch. It’s very similar to the other Marine codices except with different options and powerful special abilities unique to Death Watch. If you like Space Marines then this is a very solid choice. These are the elite of the Space Marines. Grey Knights focus on smaller more elite units. Also, everyone is a psyker, which is rather unique to them. Grey Knights do not have a lot of units and options compared to most other armies. It can be a limiting army, but that’s also an appeal to some. Generally, Grey Knights are good at close combat, but they do have some shooting as well. Overall they’re a relatively rounded army. The great generalists of the game, as noted above. There is no one thing that this army really excels at, but it’s good at everything, and a well-rounded army as well. Part of that well-rounded nature is an extensive codex that offers lots of units. It is the largest codex compared to anything else. So, if you like variety then you can’t go wrong here. Also, between different chapter traits, and stratagems, you can flavor the army a few different way. There’s a reason this is the favorite army of most in 40K. These guys lean more towards close combat than general Space Marines. Unique units to that end are Thunderwolves (Marines riding huge wolves), Fenrisian Wolves, Blood Claws (young Marines), and Wulfen (mutated Marines). Space Wolves have a Viking thing going in terms of back story and appearance. I feel they are the most distinctive Marine Chapter in terms of looks. Overall, a very capable army with some close combat punch. The most elite army of infantry you can field. In terms of fluff, these are the protectors of the Emperor and are created from his geneseed directly. They are far more powerful than a Space Marine, and fall short of only a Primarch, and the Emperor of course. Game-wise, the army consists of a select few units who are expensive, but also very effective. If you’re after a low model count army that can put up a fight then here it is. An elite army able to shoot and handle close combat but very fragile. It is a small army with very few units to choose from. The background is these guys make all the Imperial military gear (armor, weapons, vehicles, etc). These guys can shoot a ton and are also very fast. What they lack in raw strength they make up for with speed and capability. They also tend to be on the fragile side, though not the most fragile army out there. Aeldari (Eldar) have some great psykers to top it all off as well. In fact, the army is very capable with psychic powers and have some of the most powerful psykers in the game. In general, the army works by having specialized units. So, they have a unit for every situation. The anvil of the Imperium. These guys are your modern-day military equivalent. They focus on large infantry squads with a TON of tank options for support and fire power. Astra Militarum is a weak close combat army who prefers to pound the enemy with fire power at range. Speaking of, they have a lot of artillery type of options where they pound the enemy at range without the need to see them. This is one of the strongest armies in 8th edition. Guard can put down a lot of bodies, a lot of fire power, and deal with anything they face. A very diverse army in terms of unit choices but generally aimed at close combat. In fact, the army has very little in the way of shooting. Daemons make thorough use of psykers. Most units rely on their daemonic invulnerable save (5++), instead of armor, which makes them a bit fragile at times. Daemons are quite capable of putting down a lot of inexpensive units and flooding the opponent. Lightly armored fast vehicles and poisoned weaponry are the mainstay of Drukhari (Dark Eldar). What the army lacks in punch they often makeup for in volume and ease of wounding. Very much a finesse army. Also, Dark Eldar are one of the most fragile armies. In the right hands this army is brutal though. The focus of the army is on shooting. While there are some close combat units, the poisoned ranged weaponry is where it’s at with them. The evil Space Marines. Mostly generalists, like their loyal counterparts, but with some daemonic flavor giving them some very unique units. So, they don’t play at all like the good guys. Chaos Space Marines are usually effective mid to short ranged, though they also have some capable long ranged units as well. While CSM have some close combat units, it’s also not really their forte either – much to my dismay. Generally, Chaos Marines are a jack-of-all-trades and play best when treated that way. Death Guard are followers of Nurgle, the god of plague and disease. As such, Death Guard is a very resilient and tough army, which suits the lore. With some interesting vehicles, and the ability to take a hit, they hold up very well against anything. Also, Death Guard have some capable psykers as well. This isn’t an army with a ton of options though. It’s well suited for someone who loves Nurgle, and/or wants a focused army. Thousand Sons are a very psyker focused army who also has a lot of ranged weaponry that’s good at cutting through armor – seriously. Even the basic weapons in this army can cut through power armor with ease. It can be a very resilient army, like Death Guard, albeit in a Tzeentch type of way. Also, like Death Guard, there’s not a lot of unit choices here. It’s gotten better with 8th edition, but it’s still limited when compared to most other codices. The Cult is still pretty new, but they’ve made quite the name for themselves already. Genestealer Cults is probably the best army for alpha strikes. With most of the army being able to spring up anywhere on the table turn #1, it’s easy to put your opponent on the back foot quickly and gain an advantage. Basically, the army is a merging if Astra Militarum and Tyranids – sort of. That merger creates uniqueness within the army you won’t see anywhere else. The army itself doesn’t have a lot of unit choices, but with the capabilities to bring in Astra Militarum and Tyranid units, you won’t be short on options. Yet another new’ish army to 40K, and also another very small one. Harlequins are fast, but I have not faced them, so my knowledge is lacking here; sorry. If you like big giant robots then look no further. Imperial Knights are a small group in terms of how many models you’ll use because they eat up a lot of points. You won’t find an army with fewer models than this one. Great fire power, decent in close combat, and fast. Knights are relatively rounded, and the new codex opens up a lot of new options and variants for the army in 8th. There isn’t much to these guys these days. The Inquisition is mostly a handful of models and units that are intended to play alongside other Imperial armies. Where once the Inquisition was a force all its own, it’s a shell of its former glory now. Slow moving robotic zombies who shoot a lot and can go down to only stand right back up. Necrons do have some good close combat units as well to help offset their slow and shooty nature. I feel that overall Necrons are a well balanced army, but they can be played a few different ways pretty successfully. This army only consists of four models. The assassins are meant to be played alongside other Imperial armies, not on their own. The assassins have some great unique abilities, each one focusing on one particular aspect of assassination basically. They can be great to fill in holes in your Imperial army list if you find yourself lacking something. Quantity over quality is how Orks operate. Orks are scarcely armored brutes who love close combat. Orks can also do well with shooting if taken in enough quantity to compensate for their terrible ballistic skill. The army works well as a horde, a greentide, but the newest codex also brought back Speedfreeks as a style of play – fast, fragile vehicles. The army is a lot of fun to play, and they’re the comic relief in the 41st millenium. The only female army in 40K. They are like Space Marines (power armor and bolters), but physically weaker. Adepta Sororitas have some unique tanks and work using a faith system to gain bonuses. Sisters are weak in close combat and prefer to shoot. The army has seen a boost since 8th edition and the Index, however, it remains to be seen what will become of them if/when they ever get a codex. A small force whose job is to shut down psykers. Same as with the Assassins, this isn’t an army so much as a bolt-on for other Imperial armies. These guys feature a lot of high powered long ranged fire power. T’au definitely prefer to kill their enemy at range and they do it well. Not only do they posses powerful shooting, they possess it in quantity as well. As you can guess, the glaring weakness of the T’au is close combat. They do not have a single dedicated close combat unit in the entire codex. There’s some units that are mediocre at best with it, but T’au will never be an army built for close combat. Ever. Still, if you like shooting things, and you like a Gundam aesthetic, then this is a great army for you. Lots and lots of bugs to swarm the enemy with. Tyranids have a good mix of shooting and close combat, be it with hordes of bugs or utilizing large monstrous creatures. They also have a fair amount of psykers. Tyranids rely on synapse to keep themselves focused. Basically, the smaller creatures have to stay near the larger ones to avoid losing focus. As noted, you can play Tyranids in a swarm/horde style, or you can go more elite with larger creatures, or of course a balance of the two. The army has done well under 8th edition and I only see it improving with a new codex. A Eldar alliance between Aeldari and Drukhari. Nothing I’ve said here about each army is black and white. The beauty of 40K is that you can play an army any way you like really. An army that focuses on shooting doesn’t mean it’s incapable of being built for close combat. Horde factions can be played in a more elite manner, not just swarming the enemy. Very little is cut-and-dry, so do some research on the Warhammer 40K armies you’re interested. What’s the Best Army for 40K? There is no best army for Warhammer 40K. Each army’s power level changes with the release of a new codex and rules editions. What was once a very weak can become the strong, and the previously strongest shuffled to the bottom. This is yet another reason to choose an army you like the looks of, and one that suits your style. At least that way you still have one you enjoy regardless of whether it’s the best one or not. Best Starter Army for 40K? Like anything, it’s going to depend on you for what the best starter army would be. That being said, any of the Adeptus Astartes (Space Marines) is a good place to start. Space Marines are a a very solid army, good at everything, and a lot of the units are similar, in turn making it easy to learn the army. Astra Militarum (Imperial Guard) also make a good starting army. There’s a lot more variance in the army than Space Marines, but all the infantry is similar, and Imperial Guard have a way to deal with anything. Those would be my top 2 choices, but really you can’t go wrong with any army. Really, I’d find something you enjoy and go for it. You don’t want to regret your choice later on to start with an army you didn’t love just because you thought it would be easier to learn. This might have been your first step, usually is, talking to other players. Most of us get into 40K because we have friends who play and talk about the game, and that’s where the interest begins. From there we start looking at armies, often armed with some knowledge. Regardless of which order you go through, the below is useful information. These guys do a lot of research. Once you have a general idea of the Warhammer 40K armies you enjoy, talking with other players will help you cement your choice. The game has a lot of fine details, and an experienced player can help guide you to an army. For example, there are a handful of Warhammer 40K armies in the game that really do well with close combat, but how each one approaches it will vary. Orks will often try to drown the enemy in numbers and swarm forward where Grey Knights can use more elite assault units and fewer models. Some factions will favor certain tactics, like stealth and speed, where others are more direct. There is no better way to get all this information on the different armies for 40K than experienced players. If you don’t know anyone who plays 40K then most employees at gaming stores are more than happy to chat about the game and answer questions. If all else fails, hit up the internet. You can find some great communities that are friendly to new players. I don’t really participate in forums these days but the only forum community I can safely recommend is The Bolter & Chainsword. B&C is a forum focused on Space Marines, but it does also cover all other Warhammer 40K armies and the game in general. You can also try your luck with groups on Facebook, though I find they move to fast to be of much use. There are a lot of blogs dedicated to one particular army, or a few Warhammer 40K armies. Some of those blogs will have some great information, and some authors will be kind enough to help you out if you post a comment. For example, I would gladly help anyone out interested in Chaos Space Marines. Greggles is a very friendly guy who I’m sure would help an aspiring Ork player out. NafNaf recommends the Dark City forum for Dark Eldar players. With a little luck you can find some awesome blogs that might already have answers to your questions. 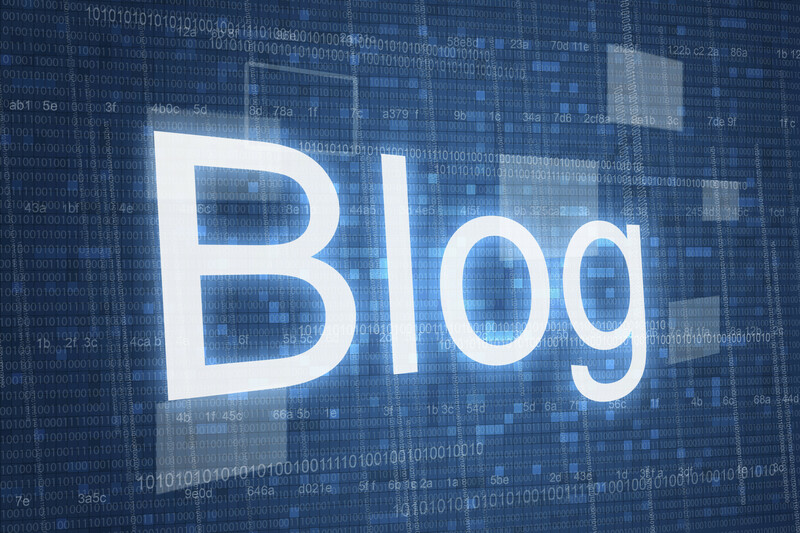 I do also have a rather extensive list of wargaming bloggers you can check out, as well as a list of top wargaming bloggers I recommend reading. Bear in mind that everyone has their preferences and their own personal experiences when giving advice on Warhammer 40K armies. We don’t all see each army the same way. Eldar can be seen as overpowered to one person, but someone else will say how balanced they are. Experiences and perception will impact advice given, so do not rely on a single source of information for this reason. Choosing the right army for yourself will make a huge difference in how you perceive the game. Choosing something based on how powerful it is isn’t a good idea. Power level is in a constant state of flux. A new codex, or rules release, can move a strong army from the top to the bottom. If you start with something you like the looks of, and it fits your play style, then you will find the game far more enjoyable and rewarding. There are ebbs and flows in the game of 40K, and having an army that fits you will make riding those waves easier and less noticeable. That is a pretty good break down, bravo. I find that while I am loving my Thousand Sons and I am less thrilled about the idea of doing anymore power armour. If I ever get to start another army then it won’t be marines. For starters they make up too much of the armies around as is. Thanks for the article though. Food for thought. OH and sadly Adam is taking a break from his Space Wolves blog, per his latest post. Painting Marines eventually becomes an exercise in patience. I love them but it get monotonous pretty quickly. It’s another reason I like Khorne Daemonkin, getting to work in non-Marine units. I saw that with Adam. Still, it’s a great resource and eventually he’ll return to his normal schedule. I will be adding some Tzeentch Daemons to my force eventually to help even out the non-marine models. You may have a Tzeentch Daemonkin book out soon enough. I think by now it is part of the process. Veterans display scars from different editions. How the army is to paint should be a factor. Chaos Marines in particular are the one of the fiddliest armies with all that trim, but can at least look good with a fairly dark low contrast effect. I suspect Tau are the least forgiving to paint, though quicker than Chaos Marines. I suppose depending on the style you are going for and the look any army can be quick or slow. Apart from Harlequins. That way lies madness. Good luck with that. I’m being serious, not sarcastic. I don’t think I’ve seen anyone try a damasus pattern. I would agree with that. Most painters, myself included, tend to take more artistic leeways with weapons than aiming for realistic. I see it as a consideration but only of value in a few situations. I mean, I wouldn’t just outright pick my army based on how easy it seems to paint. However, if I’m looking at two armies I like and one seems easier to paint, and I’m not super interested in painting, then I definitely take it into account. +1 a billion on “pick an army that you like the look of”. That way, even if your army gets throttled in an update, at least you have an awesome collection of models to look at! So very true. At the same time though it can make you very sad to see your favorite models get killed. I mean, Blood for the Blood God! That’s the first thing I tell people when they want to start 40k or any other miniature game. Painting an army that doesn’t appeal visually to you gets old very fast. Yep and in turn effects all aspects of the game. A lack of interest in any one thing will impact how you feel about the hobby, your army and the game. That’s very true. I think guides like this really can help new players to minimize the risk of choosing an army that they later realize that they don’t like. Great stuff. I started all my armies by going on what I loved the look of, and do that still to this day with other gaming systems. I do it with ever game too, pick what I think looks cool. It would be a PC game, board game, it doesn’t matter. I have to enjoy looking at what I’m playing no matter what. Mind tossing a link for Dark City? 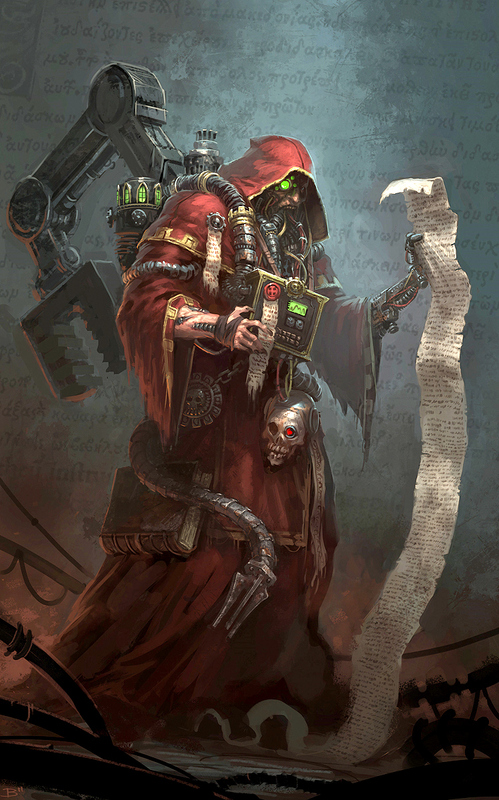 As for the mechanicus and skitarii. A semi elite army that can excel at both shooting and assault for a limited time each game. They are glass cannons like dark elder and require finesse as most the models are not tough, the army tends to be static as it lacks transports. It is not the best first army due to huge Stat line variety and huge differentiation in unit rules. That said the army is very internally balanced, and most units have few options, so any unit you buy and field because it looks cool will be useful. Great, thanks. I’ll update the post with this. as for the topic in general, if you have friends that play or a good club to play at that will help you learn the game I suggest a slightly different method. Skip picking an army for the first 6 months. Just play the vanilla space marine codex. Don’t plan to paint this first army. Borrow from a friend or buy cheap messed up models off eBay. Learn to play the game. Space marines are forgiving to new players due to the 3+ save. They are redably available off eBay or friends for very cheap. Especially those coated to death in primer. 40k as a game takes months to learn. I didn’t even come close to winning or having any idea what I was doing for about 5 months of playing every week. Once you start to really grasp how the game is played you can use the above method to pick a cool looking army that can build a force to match how you like to play. You can resell the space marines for reasonably close to what you paid for them and move onto building your army without wasting time and money on goose egg units that don’t work with your play style. While a very practical approach, and I don’t disagree, it may not be for everyone. It requires a lot of time and patience. It’s probably more of an approach if you want to hedge your bets and see if your going to like 40k as you can recover most your buy in this way. Especially if you can spend some time using a loaner army.